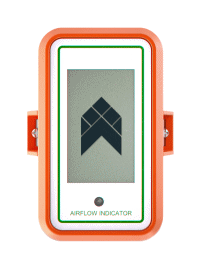 Airflow indicators provide operators with a visual extract performance indicator. What good is extraction if the airflow is compromised from within the system? 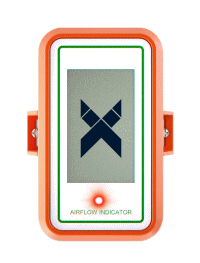 SW Testing Services LTD is able to supply airflow indicators which have been vigorously tested within all types of industry. We also offer a fitting service. Our most popular indicator type is the chevron gauge. These take a static pressure reading and will inform the operator if the static pressure drops 20% below the calibrated value. The static pressure within the duct will drop if there is a drop in airflow. These indicators run on 2 AA batteries which will last for approximately 2 years. These gauges are a very popular choice purely because of their simplicity in design. Hover over the image below to see how the display changes when the airflow is compromised. We also supply and fit the popular mechanical Dwyer Magnahelic gauges which have the added benefit of being able to be used in explosive atmospheres.